No tools are needed to install Brooks patented stainless steel Handi-Ring®, engineered for strength, long life and easy installation. 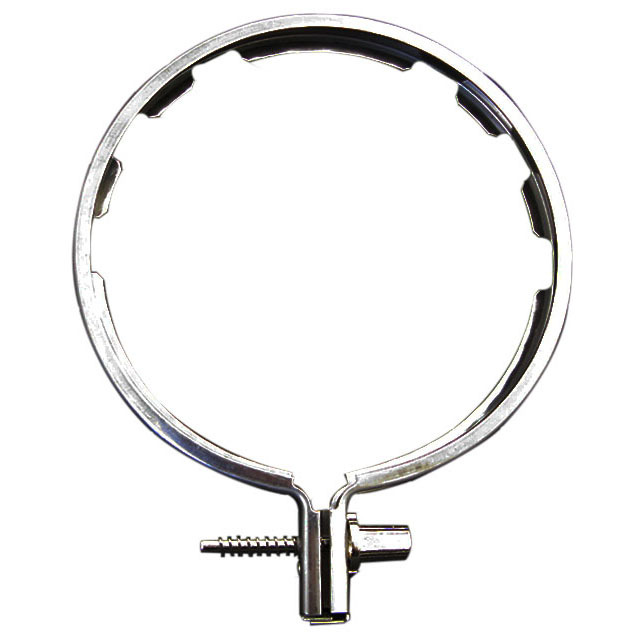 Designed with the meter person in mind, this screw type sealing ring is equipped with exclusive easy-grip tabs and a finger-grip screw that allows hand-tightening in most installations. 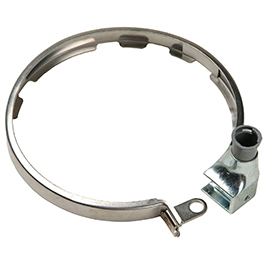 Brooks' Q-Ring features a captive screw design enabling quick and easy installation. A solid, one-piece stainless steel body and zinc die-cast thumb screw provide superior security and durability. Drip hole at the side of the ring allows water to drain if needed. Three sealing points for multiple sealing possibilities. 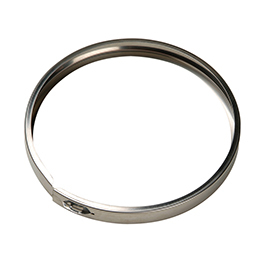 This ring is a one-piece, front-entry, locking ring with steel or plastic seal adapter. Available in stainless or hardened steel, it can be used on most individual residential sockets and multiple apartment meter panels. A barrel lock is required to secure this device. 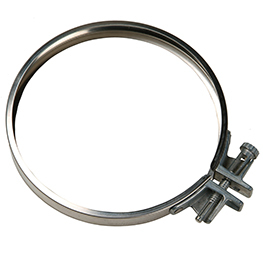 Simple, low-cost stainless steel slip lock meter sealing ring. Properly marked with forward orientation.